All good fashionistas should do good in the community and good for the planet. Here are some of our favorite sites for going green in style. Fashion Law obviously takes precedent here. This site has it all--fashion law news, events, and all you need to know on how fashion impacts the environment. This site has a plethora of organic cotton dresses and even bags with cell phone-charging capabilities. We're not sure what more anyone could ask for. If you're looking for organic and sustainable clothes, shoes, and more, this is the place for you. Get items shipped straight to you from the designers, without the risk of hassle. East-coasters, this one is for you. This site was born from the Boston store bearing its name. It's great for fashionistas wanting to go green. This one is for the west-coast readers. On Vert, you can get things for you home, closet, and even man's best friend--all while saving the earth. They've got custom down to a science. Yooxygen lets you put your favorite items in a dream box...then let your friends know what to get you for your birthday! 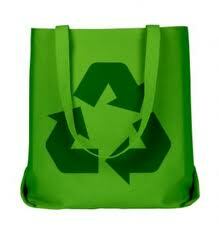 Happy Shopping, and Go Green!